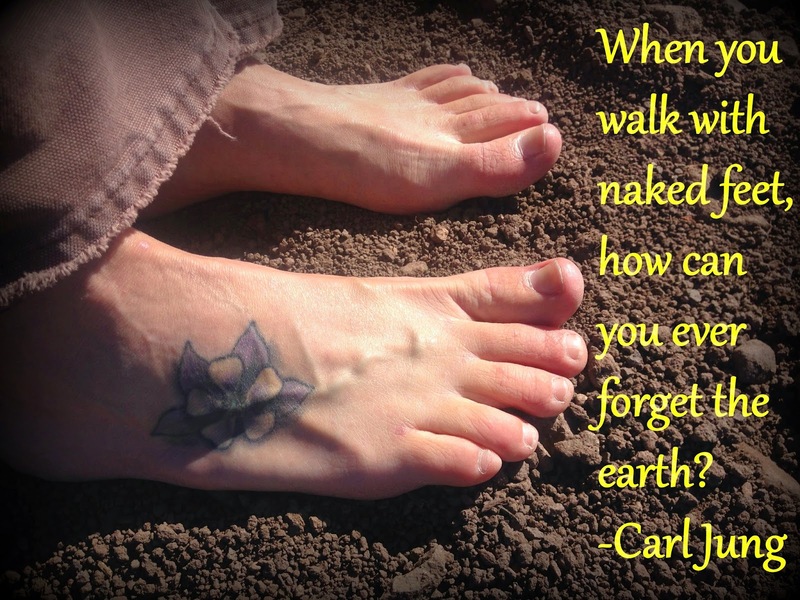 Carl Jung once said, "When you walk with naked feet, how can you ever forget the earth". This quote has really resonated with me the past six months. I started walking barefoot last fall to strengthen and toughen up my feet. It's suppose to be good for long distance runners after all, so why not? Since then, my feet have adapted to walking on rough mountain dirt roads and pokey pine needle covered ground. I've fallen in love with being barefoot. I encourage everyone to challenge themselves to walking barefoot. It adds a different dimension to the way you feel things under your feet, and heightens your awareness of touch. After a few weeks, you will notice your feet muscles and balance are stronger than ever before. Walking barefoot also forces you to be in the moment. You will pay attention to where you are walking and how your feet and body move. The whole process of breaking in your feet is really amazing and fun. I recommend starting off by walking 10-15 minutes a day outside in natural areas, then increasing the distance to eventually walk 1 - 2 miles every other day. Even though walking barefoot is my new favorite, I don't walk in town barefoot. Walking on pavement and public places are really dirty, not to mention the changes of stepping on a sharp metal or class objects are much higher. Walking on natural ground outside of town is best. Muscle Strengthening - One foot and ankle contains more than 100 muscles. We need to keep those suckers healthy and strong! Better Foot Balance - This is huge for me because I tore my right ankle ligaments June of 2013. I love trail running and hiking mountains, so my feet need to be super balanced! Foot Freedom - Socks are limiting, right? Earth's Energy - Seriously! Your positive energy and calmness will increase walking on natural ground. Give it a try for 30+ minutes a day and you'll notice a difference. Foot Toughness - You'll toughen up your feet and will be less susceptible to blisters. This is great for long distance runners and hikers. Grounding Your Root Chakra - If you are into that sort of thing. Since challenges and new goals are my thing, it will be appropriate to set a new goal to barefoot hike a 14,000 foot peak by August 1, 2015. I am super excited to implement my new love of being barefoot to the test of hiking. This means I need to hit the hiking trails and practice hiking above treeline in the high country of Colorado! Can't wait for those trails to open for the season! 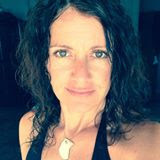 If you'd like to learn more about being barefoot, you can visit my Pinterest board, "Being Barefoot".